He moved his family from Ft. Worth to Louisiana, Oklahoma, and back to Texas. He was active in church all his life serving in many capacities, such as Sunday school teacher, deacon, and even nursery worker. He was a gentle giant. He was an avid reader, loving especially history and biographies. After his retirement, he and his wife moved to Athens, TX, where he learned as much local history as he could about Athens and other East Texas towns. He wrote the 150-year history of the First Baptist Church of Athens, where he and his wife are members. He was also responsible for leading the successful effort to construct the state historical marker on the front lawn of the church. He loved God, his family, his church, and country. 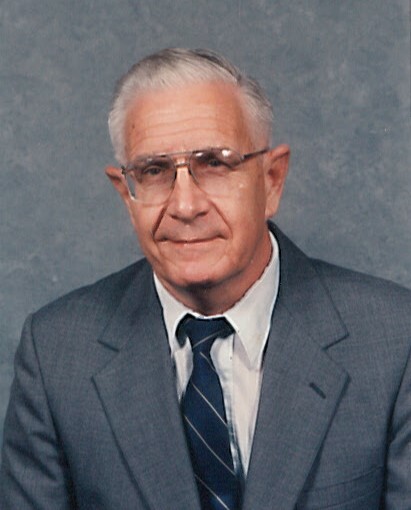 He is survived by his loving wife, of almost 63 years, Rosemarie Waggoner, his children Earl Waggoner (wife Kris), Melanie Paulson (husband Mark); six grandchildren: Brooke Odum (husband Brad), Luke Waggoner, Philip Waggoner (wife Becky), Jared Paulson (wife Emily), Caleb Paulson, McKayla Martin (husband Zach); five great-grandchildren, cousins, and a host of friends. James was preceded in death by his parents, Cecil G. and Myrtle P. Waggoner, and a brother, Cecil G. Waggoner, Jr., and a granddaughter, Rachael Paulson. Visitation will be at Autry’s Carroll-Lehr Funeral Home, on Hwy. 31, Athens, on Wednesday, Sept. 5, from 6-8 p.m. A memorial celebration will be held at First Baptist Church Athens, on Thursday, Sept. 6, 10 a.m. A burial service will be held at Birdville Cemetery, Ft. Worth, on Friday, Sept. 7, 11 a.m. “Big Jim” has finally arrived home! In lieu of flowers, you may make a donation to the Missions Benevolence at First Baptist Church Athens or St. Jude’s Children’s Research Hospital, Memphis, TN. Special thanks to Heart-to-Heart Hospice, Tyler, TX, and the nursing staff at Reunion Plaza, Tyler.